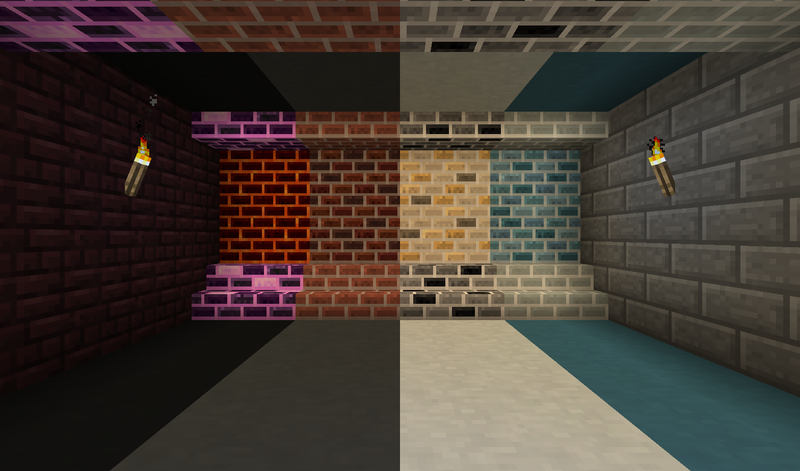 Ceramics is a mod designed to increase Minecraft's gameplay using clay. Originally inspired by the clay bucket from Iguana Tinker Tweaks, this mod simply added a clay bucket, but now it adds quite a few other features made from clay to both improve the early game and be used in long term builds. In the mods current form, it adds features in three categories. Clay buckets: Early game bucket alternative. Can transport cold liquids with ease, but breaks after emptying a hot liquid like lava. Unlike other clay bucket mods, these are fully dynamic and will automatically add variants for any mods that use the Forge universal bucket (such as Tinker Construct or Forestry). Clay armor: Alternative to leather armor early game. Leather is often hard to obtain before iron, so clay provides a more affordable alternative. Apparently clay plate armor was once a thing, so kinda historically accurate. Clay shears: An alternative to iron shears. Similar to other clay tools, have less durability than the iron alternative. Unlike the other clay tools, shears are actually faster and sharper than iron shears as clay is a sharper material. Ceramics adds a functional list of fluid blocks to store and transport fluids in world. Clay barrels: An extendable liquid storage block. In comes in all 17 clay colors which have a capacity of 4 per barrel, plus an additional 16 porcelain colors which have a capacity of 6 buckets per barrel. The capacity can be further extended through extensions, which add the base value for each extension placed on top. The level can be checked by right clicking the barrel or using a comparator on the bottom block of the barrel. Porcelain Faucets: Allow simple fluid extraction. Can connect to the side or bottom of a block into one below the faucet. Can be activated by right click or redstone, and will slowly pour until the tank below is full or it runs out of fluid. Porcelain Channels: Allow simple fluid transport. Cannot extract fluids, requiring a faucet to fill, but will push fluids into nearby tanks or blocks. Each side has a direction, which will be set on placement and can be configured afterwards by right click. Can additionally pour downwards if enabled, which can be done by hand or redstone. Apart from functional blocks, Ceramics adds a range of decorative blocks to spruce up any base. Porcelain: Decorative block that is similar to stained clay, but the colors are more true without the orange tint. Rainbow Bricks and Clay: feature a colorful rainbow animation. Clay comes in 8 variants based on where the animation starts. Bricks can be made into stairs, slabs, and walls. Added for consistency with the other walls types added by this mod. Can be disabled in the config in case another mod also adds this feature. For more information, check out the images tab or read about Ceramics on the official Feed the Beast Wiki. You can also come discuss Ceramics on the SlimeKnights Discord. why was this made for an unstable Forge and not the recommended build? to be used but Since it might not work in the newest build or recommended one, you have to use the Unstable one, if it is possible send us footage in the unstable and we will change it to the normal recommended one. Please add a config to not show all the liquids on the buckets on JEI. Buckets act exactly like vanilla buckets for showing liquids. I will conciser a config to hide them, but every other fluid container in every other mod does not do that. If you have bugs, report them to the issue tracker with a detailed description. From what you have said, it sounds fully intentional, water buckets should empty upon placing the water.